OR is a type of logic gate. 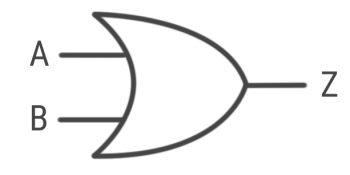 In an OR gate, at least one input has to be positive (1) to give a positive output (1 or ON). Both inputs could also be positive.